Conan Exiles is Funcom’s take on an open world, survival Conan world where players write the stories and create the fun with the tools at their disposal. The game is finally exiting early access to launch globally on May 8th 2018, and much has changed. Since our review almost a year ago, the dev team has continued to iron out issues and improve gameplay based on early access feedback. Now that we’re a month away from launch, are the new changes worth checking out? Here’s what’s coming. A New Combat System The new combat system is very different and a huge improvement on the old one. 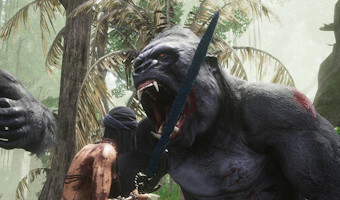 The new system for Conan Exiles will have the brutal, tactical and savage combat which a Conan game deserves. The first thing you might notice is the new visual style. All weapons (swords, daggers, hammers, maces, spears, great swords etc) are getting their own attacks and animations. 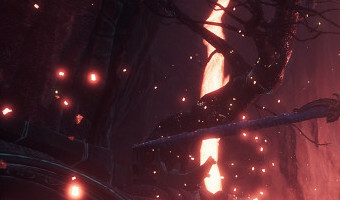 The attacks consist of a wide range of lunges, sweeps, jumps, cleaves, slashes and dashes. This … [Read more...] about Conan Exiles 2018: Is Conan Exiles Worth Playing At Launch Come May 8th?